Craving a winter escape or a romantic weekend getaway in the Paso Robles Wine Country? Throughout the month of February 2013, the Travel Paso Robles Alliance is sponsoring Paso Robles Hotel Month, which rewards guests with a third consecutive night free, special amenities and the "Sweetheart Sweepstakes" to win a Romantic Valentine's Weekend Getaway. Why? Because everyone deserves a holiday after the holidays! 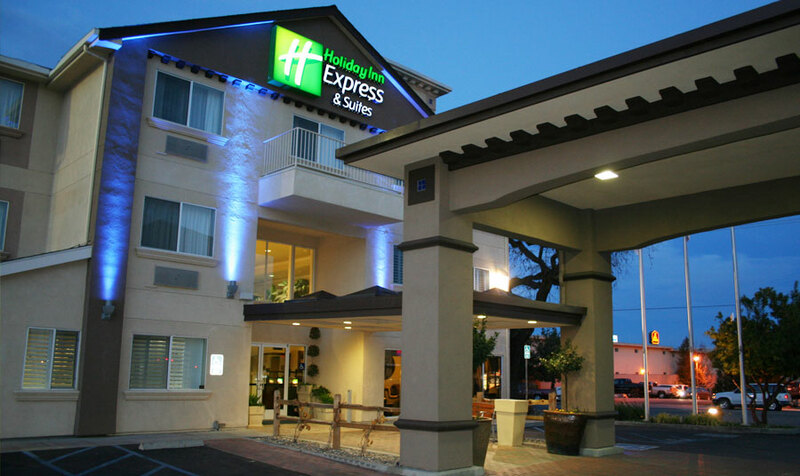 In celebration of Paso Robles Hotel Month, the Holiday Inn Express Suites- Paso Robles is offering a free third night when you stay for two consecutive nights this February. We will also delight wine lovers with a complimentary evening wine and beer reception featuring local Paso Robles wineries and breweries. And you will also get a complimentary bottle of Hope Family Wine to sip at the hotel or take home to remember your time with us. This modern, pet friendly hotel offers beautifully appointed rooms and Jacuzzi suites that are perfect for a tranquil getaway in the Paso Robles wine country. Guests will also enjoy a complimentary hot breakfast bar each morning, an indoor heated pool and spa, a fitness center, business center, free WiFi and freshly baked cookies when you walk through the door. Furthermore, Paso Robles was recognized as 2013's Best Two-Day Vacation destination!